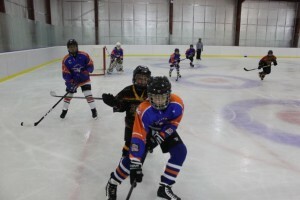 The Bulldogs were invited over to the new Seagulls rink for a pre-season training session on Saturday. A collection of U12’s, U14’s and U16’s enjoyed a total of around 2 hours of training with all players getting plenty of valuable ice time and experience. An excellent rink which is soon to be further enhanced with the building of a new spectator stand and separate warm up pad. We wish them every success in their debut year! Several players were presented with medals last Saturday by Head Coach Andy Brown at the end of the gruelling Bradford Ice Hockey Camp. 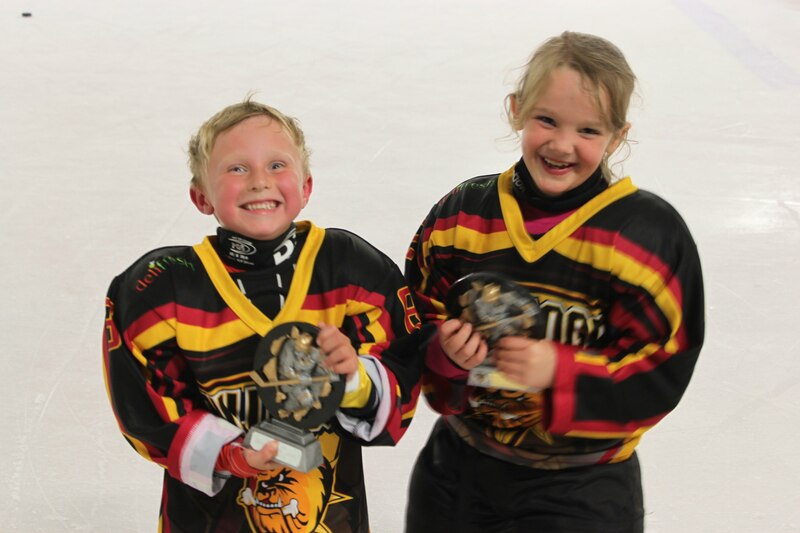 Daniel Johns (aged 6) received the Most Improved Player Award and Lydia Lutwyche (aged 6) was presented with Spirit of the Camp Award. Both players have since signed up for the Bulldogs and will be playing for the U10’s. We wish them luck for the new season! Bradford are pleased to be able to have negotiated a dispensation with the EIHA to be able to support Blackpool Junior Seagulls to enter a new U16’s team in the EIHA Junior North 2 division league for the 2014/15 season. 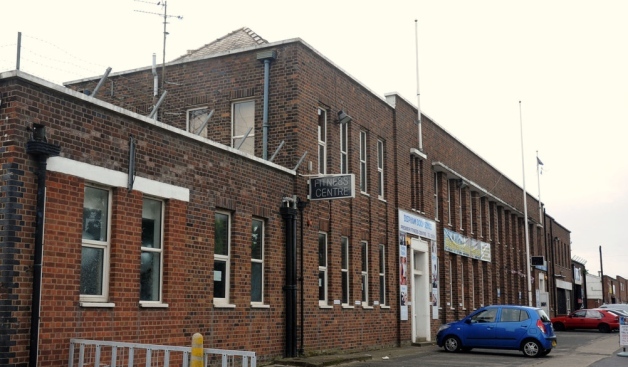 Bradford U14’s will form a single line of players all of whom are looking forward to playing out of the new Olympic sized ice rink at the old TVR factory. Bradford Bulldogs are running open training sessions for U18s on Friday nights 10:30 to 12:00 up to the start of the season. Sessions are free in August and provide players a great opportunity for some extra ice time and an opportunity to get to know more about the club. For more information please contact Andy Brown ( andy@icetime.org ) or Joanne Gibson ( joanne.gibson340@ntlworld.com ).